What is Chest Bone Pain? Chest Bone Pain is the type of pain which originates in the bones located in the thoracic cavity or the front part of the chest. Chest Bone Pain has a particularly distinct feeling from other types of chest pains and should not be confused with symptoms of angina, heartburn or heart attack. The bones around the thoracic cavity, or the chest cavity, consist of ribs, which are joined at the very front by means of a small, flat piece of bone known as sternum. The costal cartilage joins the ribs to the sternum, while at the back, the ribs are attached to the vertebrae or the backbone. Chest bone pain mostly occurs either in the sternum or the ribs, but even origins in the spine can cause pain in the chest. The following are the major and frequent causes of Chest Bone Pain. Fractures are an obvious cause of chest bone pain. Fracture in any one bone making up the thoracic cavity, including the sternum, rib bones or clavicle, can cause severe pain. While the vertebrae would not technically count as bones covering the front side of the thoracic cavity, but a fracture in them could also result in chest bone pain as a fracture would cause pain in all the adjoining tissues near the spot that suffered the worst trauma. Fractures are often caused by conditions such as Costochondritis and Osteoporosis, as is explained ahead. Managed through pain killers and restricting movement. Complex conditions could be operated, especially when involving organ trauma. Mechanical ventilation and other breathing aid could be provided. A cervical collar and rigid braces could be used in the case of spinal fractures. Costochondritis is a condition that involves the inflammation of the bone cartilage. This disease is a major cause of Chest Bone Pain, as it frequently affects the joint connecting sternum and the ribs. 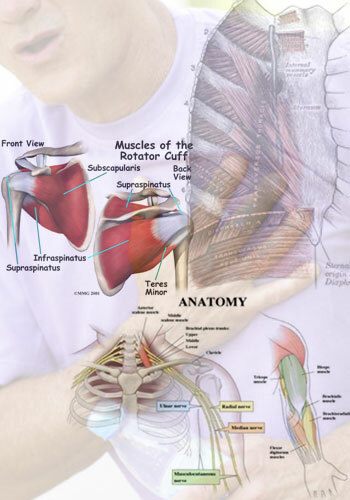 The main cause of the condition is trauma, which could include increased rib cage pressure, such as during sneezing and lifting weights. The condition is particularly characterized by pain during breathing, in some cases, during inhaling particularly. The condition is considered benign. The treatment is prescribed as per the diagnosis of the underlying or related problem which could be cardiac, gastrointestinal, musculoskeletal, psychogenic, respiratory or due to anxiety and drug abuse. Arthritis is the inflammation of joints. While Arthritis is not really uncommon, it is pretty rare when it comes to bones of the thoracic cavity. However, in case of Osteoarthritis, which is the most common form of arthritis, there is a fair possibility of that occurrence. Osteoarthritis involves the wear and tear of joint and bones and frequently affects the spine, causing chest bone pain. Apart from joint pain, inflammation is a major symptom of the condition. This condition cannot be cured. However, physical therapy and pain killers can help patients manage it in a better way. Osteoporosis is a serious bone and joint disorder which affects older people, especially older women. Osteoporosis involves the degeneration of bone density, resulting in weak bones and joints. This condition is complicated with increased risk of bone fractures. Chest bone pain can be caused if one of the bones making up the thoracic cavity is fractured. Unfortunately, Osteoporosis is an incurable condition. However, lifestyle amends and better care can help the patient manage it properly and minimize the occurrence of fractures. Intake of Vitamin D, K and Calcium in diet and medicines such as bisphosphonates and teriparatides are administered. Some bacterial and even fungal infections can cause Chest Bone Pain. Infections affecting the chest bones or Osteomyelitis are usually secondary reactions caused by other infections. The leading infection causing chest bone pain cases is tuberculosis or TB. TB affects the lungs and reaches the ribs and adjoining bones to weaken and infect them. 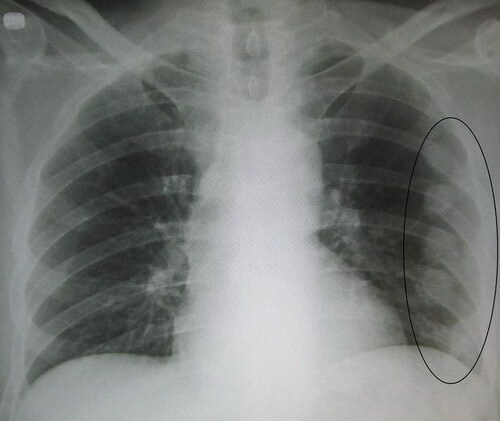 Pulmonary TB can trigger the condition of Miliary TB when it affects the bones and is caused by a species of bacteria known as Mycobacterium Tuberculosis. An even more dangerous condition is known as Pott’s Disease, which occurs when the bacterial infection affecting the thoracic cavity bones reaches the vertebrae. The treatment of the primary infection is required in order to relieve chest bone pain, apart from symptom alleviating medicines. Antibiotics such as isoniazid and rifampicin are administered for the treatment of tuberculosis. More complex regimen can be prescribed too. For Pott’s Disease, operative procedures such as intramedullary rod could be administered. Surgery could be required for the condition.